Best Six 6 Months / 6 Weeks Industrial Training company institue on Data Structure LEARNING in Chandigarh / Mohali / Bathinda / Punjab INFOWIZ. 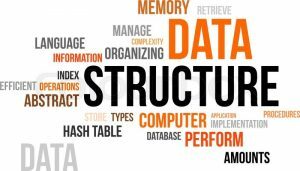 Data Structure Course in Infowiz With our Data Structure Course you can start your career in development. We have expert and professional trainer for providing training. No.1 Industrial Training Organization in Chandigarh / Mohali / Bathinda / Punjab INFOWIZ for Six 6 Months / 6 Weeks Industrial. We can cover all the topics of data structure like Basic Concept, Dynamic programming, Backtracking technique and Divide and conquer. No.1 Data Structure Industrial Organization in Chandigarh / Mohali / Bathinda / Punjab INFOWIZ. 100% Practical based Industrial Training on LATEST SOFTWARES in Chandigarh / Mohali / Bathinda / Punjab INFOWIZ. Best Six 6 Months / 6 Weeks Industrial Training Company Institute in Data Structure in Chandigarh / Mohali / Bathinda / Punjab INFOWIZ.